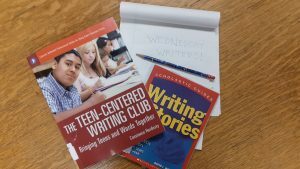 Since warm breezes, sunlight and going out in shirtsleeves seems to be eluding us in Central Montana, I am determined to bring sunshine your way – with beach reads. The beach is a far-off place, apparently just like our Spring, but with a little imagination these seashore standbys should whisk you away to summer days, porch sitting, and bright, warm weather. 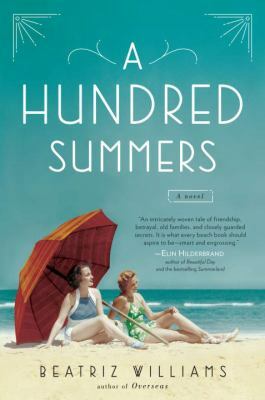 “A Hundred Summers” by Beatriz Williams has everything you want in an excellent beach read – lots of sunshine, romance and intrigue to keep you reading past lights out. Most of the plot takes place over Memorial Day, 1938 with a poignant back story and lots of family secrets. Williams is known for her complicated plots surrounding families and lost loves, and this book is a great introduction to her work – this is a book I recommend often. Elin Hilderbrand is another author whose name is synonymous with beach fiction, her novels take place on or by Nantucket, where she lives and works. Hilderbrand capitalizes on the town gossip, the lovely seashore and cocktail hour to bring us both passion and suspense in “Castaway”. This is still my choice by Hilderbrand, but she also has a slew of other seaside books to keep you out on a sun-drenched island. “Maine” by J. Courtney Sullivan is a generational novel of three very different women who all come to the passed-down-through-the-years beach house of a complicated family. Their dysfunction is surrounded by the beauty and history of Maine, where they bring their secrets, hopes and fears to somehow make something real and lasting. One of my favorite books of all time, and not just a beach read, is “Colony” by Anne Rivers Siddons. This is an older book published in 1992 but is has all the glamour and tragedy needed to really sink in and read. Maude Chambliss reflects on her life at the colony of beach houses in northern Maine, which has been in her husband’s family for generations. She learns of the family mysteries, creates some of her own, and fiercely protects those she loves. Siddons is an excellent writer of all things Southern, secret and seaside, and this book brings out the very best. So, let’s pretend you have some sand between your toes and your beach bag by your side, and you can read of complicated lives on coastlines far from here. Let one of these books take you to dunes of white sand, not drifts of white snow, and settle in to soak up all the sunshine you can. Happy Spring!